Use ICC device and DeviceLink profiles to test impact on data. 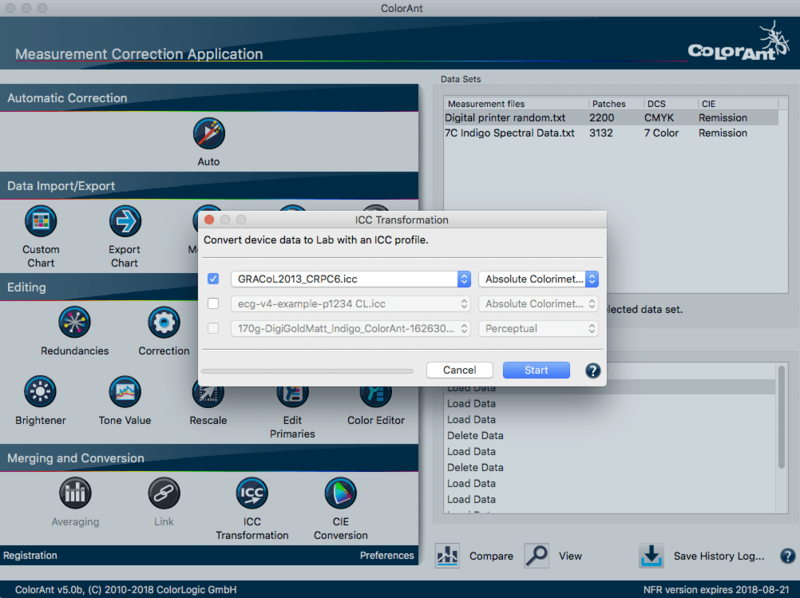 The ICC Transformation tool provides the option of using both ICC device and DeviceLink profiles on reference data (device data like CMYK or RGB) to synthetically test the impact of an ICC color conversion with up to three profiles. The tool shows only those profiles in the same color space as the selected data set. Example: If CMYK data is loaded, only CMYK profile or CMYK DeviceLink profiles are shown in the drop down menu. This example demonstrates how a SaveInk-DeviceLink profile works. Open the same large test chart layout (e.g. IT8.7-4) twice via File/Open Predefined. The CMYK reference values of this test chart are opened. 2. Select one of the two opened reference files. 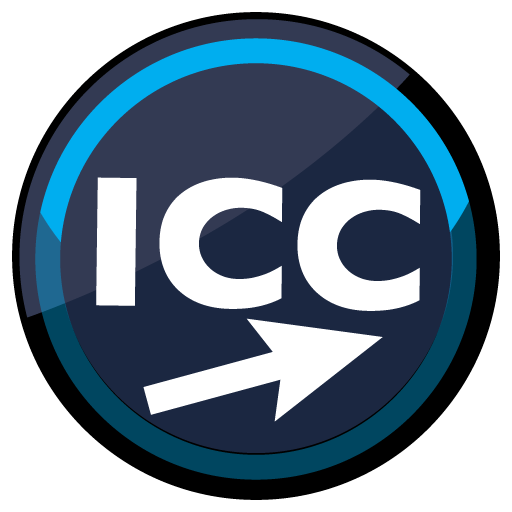 Apply the original printer profile which created the Savelnk profile, and is available in the reference file in the ICC Transformation drop down menu. Convert the reference file to Lab with the absolute colorimetric rendering intent. 3. Now select the other reference file. First apply the SaveInk-DeviceLink profile and secondly the original printer profile with the absolute colorimetric rendering intent. In addition to converting the reference file to Lab, the CMYK values are also changed with the SaveInk profile. 4. The objective of a SaveInk conversion is to visually keep the consistency of the original printer profile, despite modified (reduced) CMYK values to achieve the lowest possible color deviations. Compare both files in the Color Comparison window. The Graph tab displays the average deviation (Average) is 0.1 Delta E and the maximum deviation (Maximum) is 1.2 DeltaE in this example. 90% of the deviations (90% percentile) do not diverge by more than 0.2 DeltaE.